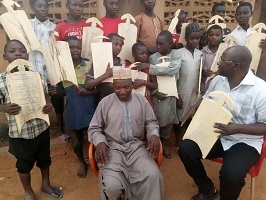 In a bid to promote better understanding, mutual relationship and peaceful co-existence among Muslims and Christians in Kaduna State, a team of Christian clerics headed by Pastor Yohana Burru has distributed over 100 Arabic reading slates to some Quranic schools. The schools are in Rigasa, Bakin Ruwa and Mando and some parts of Igabi local government Area. 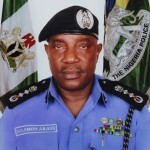 Distributing the items, Pastor Yohana Buru said the idea of the exercise was as a result of his growing desire to continue advocating for peaceful co-existence, religious tolerance, love and brotherliness among Muslims and Christians in the state. 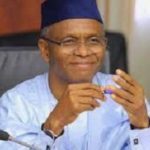 He urged Muslims and Christians in the country to remain as an indivisible entity towards the attainment of peace and unity for the promotion of socio-economic development of the nation. “We are distributing over 100 Arabic’s reading slates and other materials to boost education of Almajiral in the states”. Pastor Buru charged religious and community leaders to continue to preach peace in the society. Buru said, “the church cannot forget what muslims woman. ’Hajiya Ramatu Tijjani did to them when she distributed over 50 bibles to his church”. “The same women shared wrappers cloths and other food items to Christian widows and orphans to celebrate Christmas and New Year”. Furthermore, the cleric says, they are sharing only 110 arabic reading slates, 100 inks and over 100 other studies materials to the almajiral Arabic school,so as to support in the education”. While calling on UNESCO, UNICEF and federal Govt to support the education of almajirai. Also speaking a rigasa based religious cleric Mallam lawal Maduru, the Galadiman Tudun –wada commended the foresight of the pastor for his initiative towards promoting unity, peace and understanding among Muslims and Christians in the state. 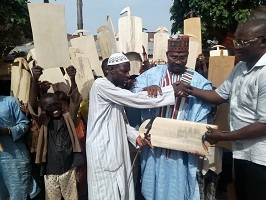 Receiving the items, including Arabic reading slates, Ink and traditional pencil (Alkalami in Hausa) the representative of the school thanked Pastor Buru for such effort which is aimed at promoting interfaith and religious tolerance. 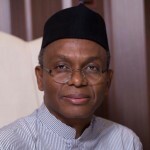 Mallam Bala Haruna is one of the Islamic scholars at Mando, who received the items on behalf of his studens at Mando kaduna. He said this was the first time; a Christian cleric visited the school and distributed beautiful reading and written materials which is focused on educating young Arabic students. The imam thanked the Pastor for such an admirable effort and called on other wealthy people in the country to immensely emulate such a beautiful gesture, so as to enhance peace and unity among different faith base organizations.